Made in the USA! Proudly displaying the Troy logo and US flag on the end caps. 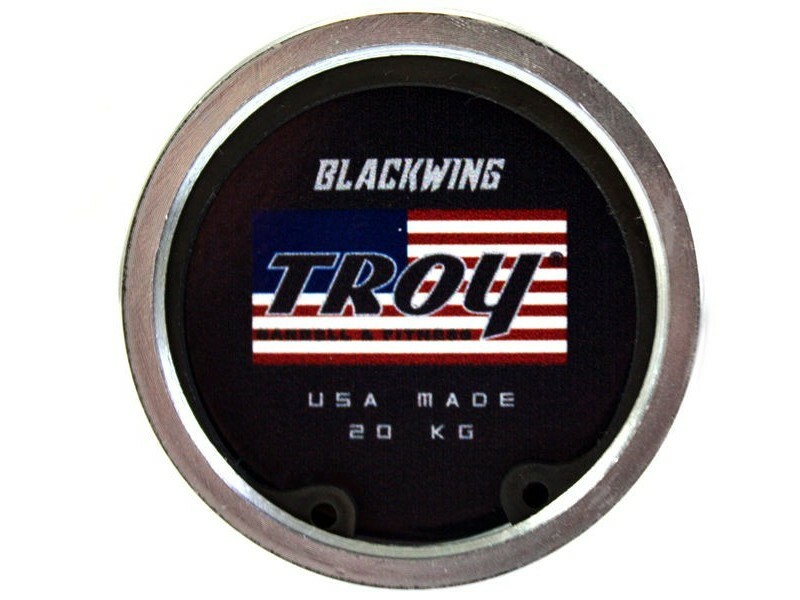 Troy's 2017 model 'Blackwing' bar has a black oxide shaft and black zinc sleeves. This bar is an upgrade over their popular AOB-1500B bar. This one has no center knurling, a higher tensile strength, and double ring marks in the knurling. The sleeves spin well on its bronze bushings, and the double snap rings on each sleeve ensure that they won't snap from too many drops. 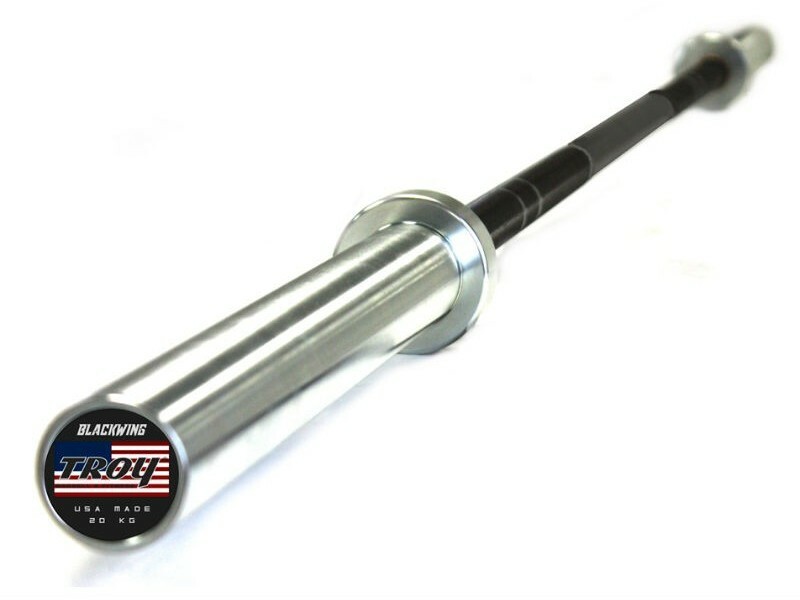 Suitable for both powerlifting and olympic lifting.